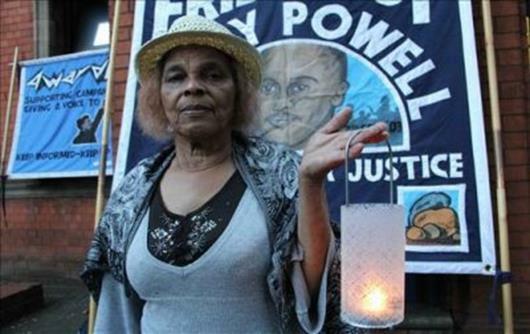 West Midlands Police paid £300,000 compensation to the family of a young man who died in custody, it was publicly revealed today. Mikey Powell, 38, tragically died of asphyxiation while in custody after an arrest over a disturbance at his home in Lozells. During an arrest, the dad-of-three was hit by a police vehicle, sprayed with CS gas, restrained on the ground – while suffering psychosis – and bundled into the back of a police van. Around six minutes later, his body was placed on a mattress in a cell at Thornhill Road station in Handsworth where officers noticed he was not breathing. Efforts to resuscitate him were made, but he was pronounced dead at City Hospital shortly after. Ten officers were charged with criminal offences after Mikey’s death, but all were cleared of wrongdoing in 2006. The Independent Police Complaints Commission decided not to pursue any disciplinary charges against them. And now, West Midlands Police Chief Constable has denied liability on behalf of the force, “contending that the officers had used no more force than was reasonable”.